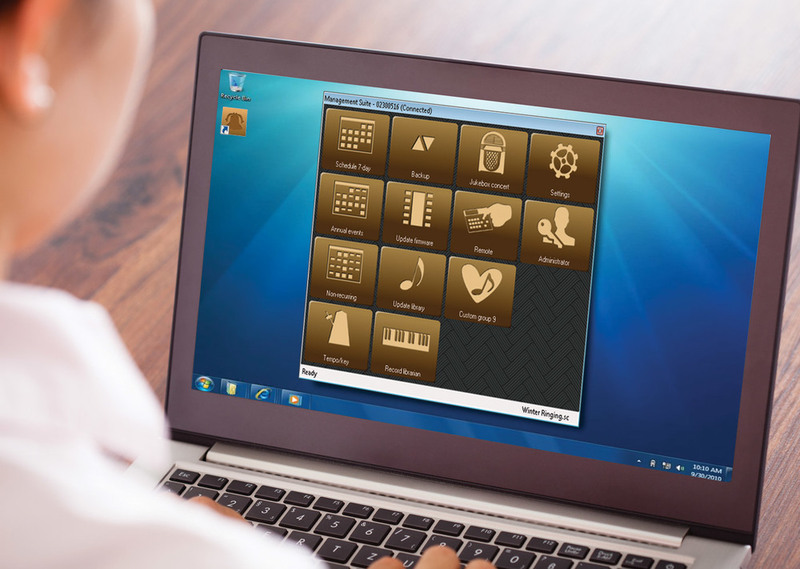 Management software and mobile apps enhance the versatility of Chime Master church bell control systems. The Chime Master Church Bell Remote™ app is a great way to control your bells when you can’t be near the carillon system. A quick tap of your mobile device screen will ring the bells for any special occasion. This free app requires the Management Suite™ premium license described below. Chime Master’s plain English setup menu has enabled thousands of churches to simply set and forget their automatic bell ringing schedule. Our Management software adds graphical versatility to simplicity. For decades we’ve led the industry with advanced ringing technology, and are excited to present the latest release of this powerful software.